Vietnamese locals will be allowed to gamble at selected domestic casinos starting next month, according to media reports quoting a new government decree. The measure will come into effect on December 1. It will allow citizens over 21 years old and with a monthly income of at least VND10 million (US$440) to enter local casinos and gamble, Vietnamese newspaper Viet Nam News reported. The country’s Ministry of Finance latest decree further regulates a January legal diploma paving way for selected domestic casinos to accept bets from Vietnamese gamblers, for a trial three-year period. The latter diploma came into effect on March 15. Only casino resorts with a total capital investment of at least US$2 billion – including gaming and non-gaming facilities – will be eligible to welcome Vietnamese to gamble, according to previous media reports. Local gamblers will be required to pay VND1 million for a 24-hour casino pass or VND25 million for a month-long pass. So far, no resorts have yet been selected by the Vietnamese authorities to join the scheme, according to local media. The Viet Nam News report added that the latest decree required casino operators to “open books or issue electronic cards to monitor the people who are allowed to enter the casino”. The new rules added that information on local players should be kept for a minimum period of five years. To prove their eligibility under the scheme, Vietnamese should produce proof of corresponding income, reported media outlet VietnamNet Bridge. It added that family members could lodge formal requests to have an individual barred from entering local casinos. Vietnam has been working on legislation further to regulate the country’s casino industry at least since 2012. According to an August note from Union Gaming Securities Asia Ltd, at least three casino resorts are currently under construction in Vietnam, “with at least one more waiting for government approval”. The schemes currently under construction are located respectively: in the Van Don Special Economic Zone, it the north of the country; in Phu Quoc Island, in the south; and in Hoi An, in the central coastal area. The Van Don project is being developed by Vietnam’s Sun Group. It is located in a remote area around 160 kilometres (99.4 miles) east of Hanoi. The Phu Quoc casino is promoted also by a Vietnamese firm, called Vingroup. 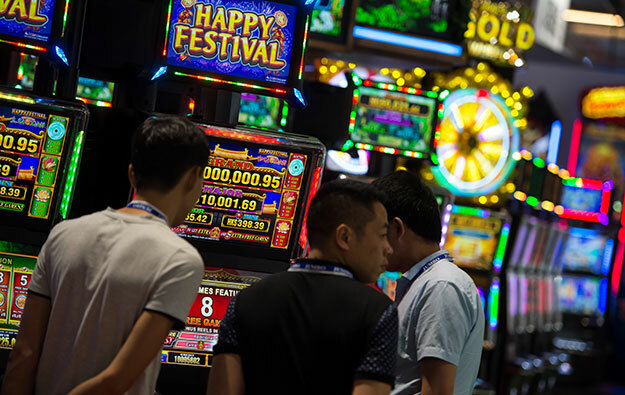 The Hoi An casino property is being promoted by Hoi An South Development Ltd, a venture that involves an entity connected to Macau junket investor Suncity Group, Vietnam-based asset management firm VinaCapital Group and a subsidiary of Hong Kong-based Chow Tai Fook Enterprises Ltd. In addition, U.S.-based casino operator and hospitality business Hard Rock International Inc is pursuing a licence to develop a casino at Laguna Lăng Cô beach resort, in Vietnam’s Thua Thien Hue province. A senior executive told GGRAsia in July that the company was willing to begin construction as soon as the national government nodded the casino licence. According to Union Gaming, the casino schemes in Phu Quoc and Van Don “are guaranteed” – once completed – to be part in the local-gambler trial in Vietnam. The country has a population of about 94 million. Vietnam has several casinos, but they are mostly small in scale. Currently, the authorities prohibit Vietnamese people from gambling in casinos within the borders of the country, unless they hold a foreign passport. Management at The Grand Ho Tram – an up and running gaming resort on the country’s southern coast – has previously said the property hoped to be part of the pilot programme for locals to gamble.